Selwood has won a three-year contract to supply pumping solutions to Network Rail. Selwood won the tender process to become a preferred supplier to the network for the London North Western and London North Eastern & East Midlands routes. The Wales route has subsequently been added to the agreement. 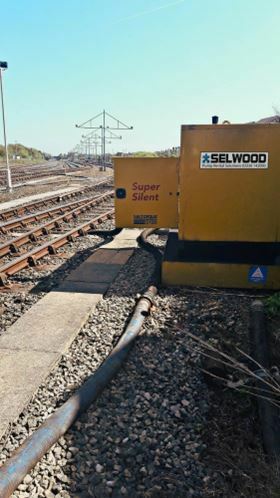 With the contract Selwood is one of Network Rail’s preferred suppliers of diesel and electric pumps for rental. Network Rail also has the option to buy pumps from Selwood if required. Selwood will provide 24/7 callout services to Network Rail, including emergency cover and support for a range of planned maintenance and refurbishment operations. Network Rail owns and manages the railway infrastructure in England, Scotland and Wales.